On Saturday, May 21, 2011, President Obama once again urged Congress to take up reauthorization of the ESEA saying, “We need to promote reform that gets results while encouraging communities to figure out what’s best for their kids. That why it’s so important that Congress replace No Child Left Behind this year – so schools have that flexibility, reform just can’t wait.” He pointed to the success of Booker T. Washington school in Tennessee as a model that others should follow and he stressed the need to get it done now. What is unclear is what reform looks like. In March of 2010, President Obama released his Blueprint for Reform, (U.S. Department of Education, Office of Planning, Evaluation and Policy Development, ESEA Blueprint for Reform, Washington, D.C., 2010) a 41-page document that outlined what reform looks like from Mr. Arnie Duncun and the Department of Education’s point of view. An analysis of the document reveals the administration’s concepts for change are sure to be challenged by a number of groups. 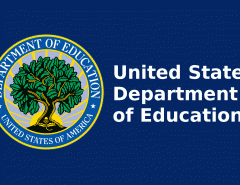 Supplemental Education Services providers would be relieved to note that implementation of a new program seems to be scheduled for 2015, on page 11 of the Blueprint for reform, it states, “Beginning in 2015, formula funds will be available only to states that are implementing assessments based on college- and career-ready standards that are common to a significant number of states.” Given the requirements suggested in the Blueprint for reform, this only makes sense. The word accountability suggests that something that has gone wrong and someone must be held accountable. Interestingly, the word is used several times throughout the Blueprint for Reform. Teachers have longed complained that the NCLB unfairly places the blame on them for poor student achievement. NCLB ignores various factors outside of teacher effectiveness that do affect achievement, namely, transitioning from one school to another in the middle of a school year, starting the year more than two grades below grade level, lack of parental involvement, student apathy (particularly in secondary school and high school), large class sizes, etc. Teachers will not suggest that these factors cannot be overcome; they do bristle however, when their achievements in overcoming some of these obstacles are ignored in favor of a standardized test. Under the current No Child Left Behind Act, teachers, in an effort to shed the label of failing to make, “Adequate Yearly Progress”, are essentially forced to teach to the test, focusing on English and Math and de-emphasizing subjects like Social Studies and Art. The Blueprint for reform uses the appropriate words to placate teachers by suggesting on pages 8 & 9 that individual States, School districts and Schools will be held accountable and consequently labeled as well. 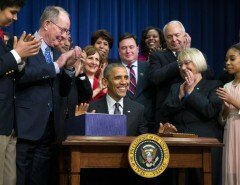 The Blueprint for Reform suggests that states, school districts and schools can be labeled as “Challenged”. The Blueprint also directs states to codify, identify and label “effective” and “highly effective” teachers. In addition, the blueprint directs the states to ensure even distribution of “effective” and “highly effective” teachers among school districts to avoid high concentrations of “highly effective teachers” in one school. Conceptually, this is a noble ideal, practical application is sure to be challenging. Charter Schools – Laying the Groundwork for KIPP? What about the money – Competitive Funding? It is true that Congress is obligated within the next few years to address the current ESEA because of its expiring mandate, however, it is also true that any reauthorization must properly balance fiscal reality with challenging goals. At this time the Blueprint for Reform is just that, a Blueprint that lays out the administration’s concept of the path we need to take to achieve an educated, productive populace. In the end it will be interesting to see how the Blueprint and final document align. For the full text of the Blueprint for Reform, please visit please click here. George is the Success Coach/ Tutor & SES Business Growth Expert at Oases online. George attended the University of Wisconsin- Milwaukee for Education and spent 4 years working in Title I schools. He successfully ran his own business for 6 years before joining Oases. He works with numerous providers across the country with a focus on utilizing technology to be more productive and spend more time with what matters, the students. Ultimately, George blends his passion for education with his experience running his own company.